Kyungmin Cho immigrated from South Korea to Palisades, New Jersey, when he was 8 years old. He didn’t learn of his undocumented status until he was applying to college. In March, Cho’s legal immigrant status under the Deferred Action for Childhood Arrivals program may expire, and he could face potential deportation as an undocumented immigrant, along with 800,000 other DACA beneficiaries. These young people are called “Dreamers,” and they were illegally brought to the United States as children. Until Congress institutes another plan to protect Dreamers, DACA is the only program that grants them legal status. In 2012, former President Barack Obama issued an executive order to implement DACA, which protected child immigrants who were brought to the U.S. illegally, in an attempt to extend the policies of the deferred 2001 DREAM Act. The DREAM Act provided legal status to immigrants who joined the Army or attended college in the U.S. Under DACA, Cho has been able to obtain a Social Security number and a working visa. Because of this, he was able to work and support himself throughout his high school career. Because of his parents’ immigration status, it was difficult for them to find stable jobs. The university does not keep track of DACA beneficiaries because students have no obligation to identify their status, said university spokesman Brandon Lausch. In order for Cho to protect his status and to gain citizenship in the U.S., he entered into a six-year contract with the U.S. Army through a military program called Military Accession Vital to the National Interest. MANVI allowed immigrants without a green card who either spoke a second critical language or had skills in medical fields, like dentistry and psychiatry, to enlist in the armed forces and acquire citizenship. Cho’s first language is Korean. Around 900 DACA beneficiaries were a part of this program. MANVI was suspended in June 2016, and did not accept any new applicants in 2017. This leaves Dreamers like Cho, who signed contracts through this program, uncertain of their future involvement with the military. Even though Cho completed the entire interview process for MANVI during his senior year of high school, he still doesn’t know whether he will receive a deployment date. “I won’t know if I’m still eligible to go to the Army because even though I still have my contract in place, if my DACA status runs out I’ll be undocumented, and it threatens my legal status here in the U.S.,” Cho said. 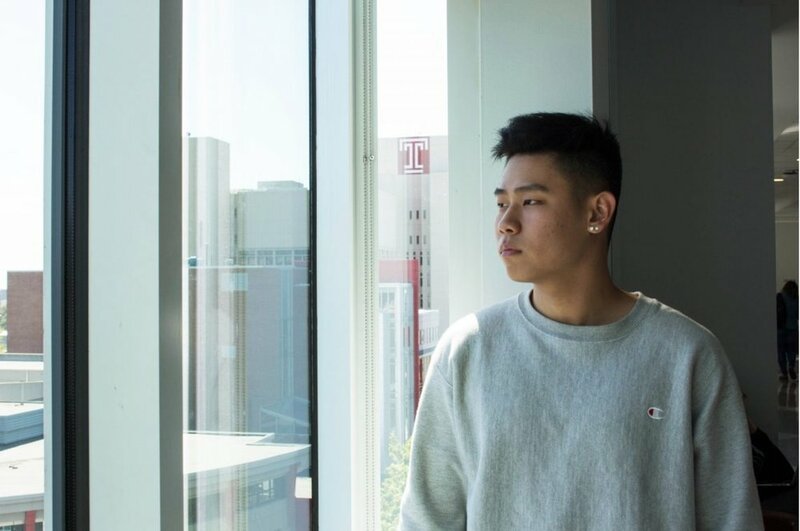 As his DACA status is set to expire within the next year, Cho will no longer be on the path to obtaining citizenship, and his Social Security number and working visa will disappear. In order to serve in the armed forces, Cho needs to have legal status in the U.S., but with the repeal of DACA, his citizenship remains in limbo, unless a new immigration reform that protects the legal status of Dreamers is implemented by the March 2018 deadline. One of the only connections Cho still has to the military is through MANVI with monthly visits to an Army base in New Jersey, where he recites the U.S. Army Soldier’s Creed, a mantra all enlisted personnel are taught to recite during basic training, and goes through some physical training. “The problem is they are hanging by a short term hook,” said Jan C. Ting, an immigration and citizenship law professor. Trump announced in September 2017 that his administration is planning to create a new immigration bill that will grant amnesty to the DACA beneficiaries, but as a packaged deal, it must have increased security along the U.S.-Mexico border. Cho said he hopes the Trump administration can accomplish immigration reform without rescinding DACA.